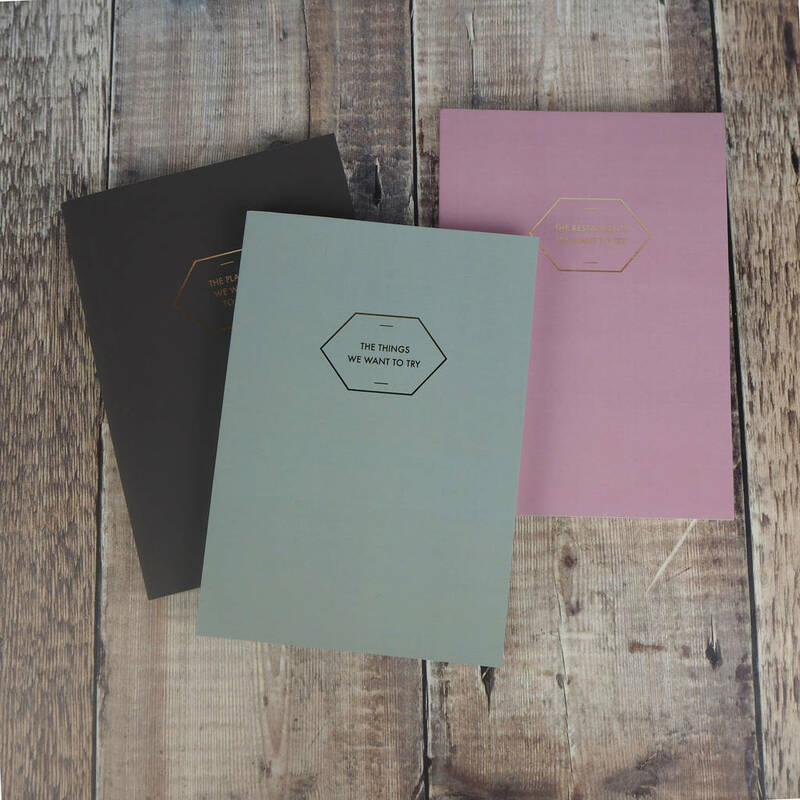 A personalised notebook, with your chosen words foiled on the cover and the spine. 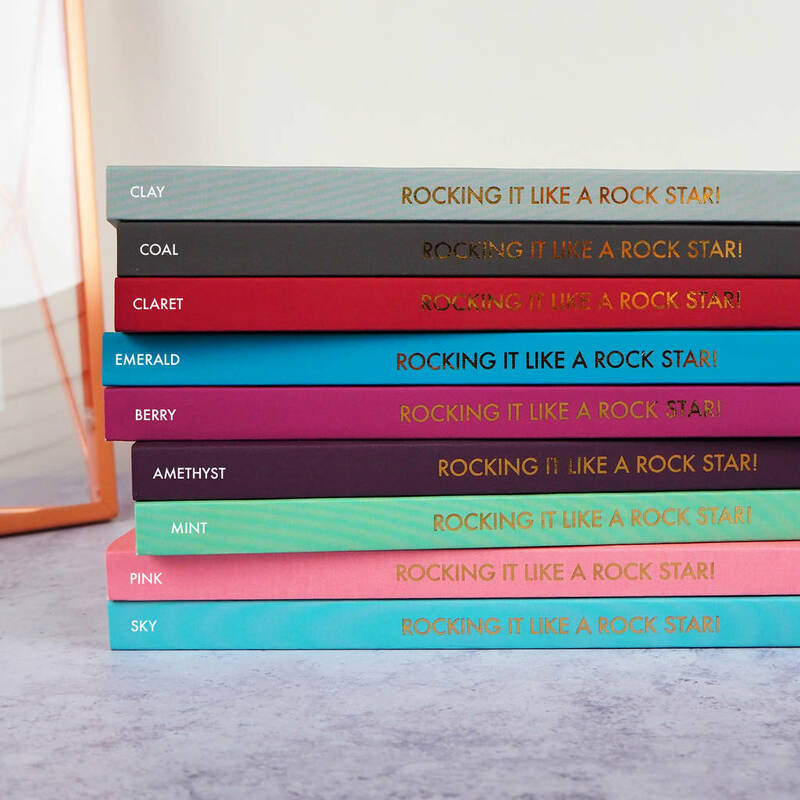 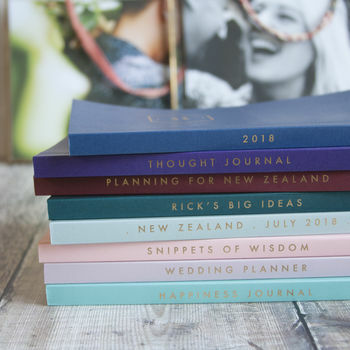 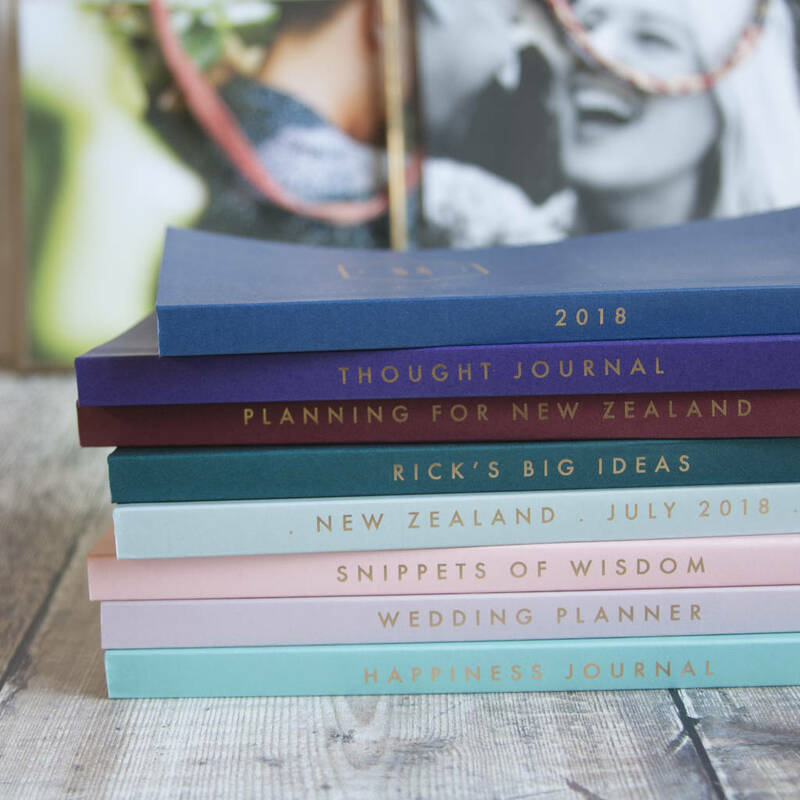 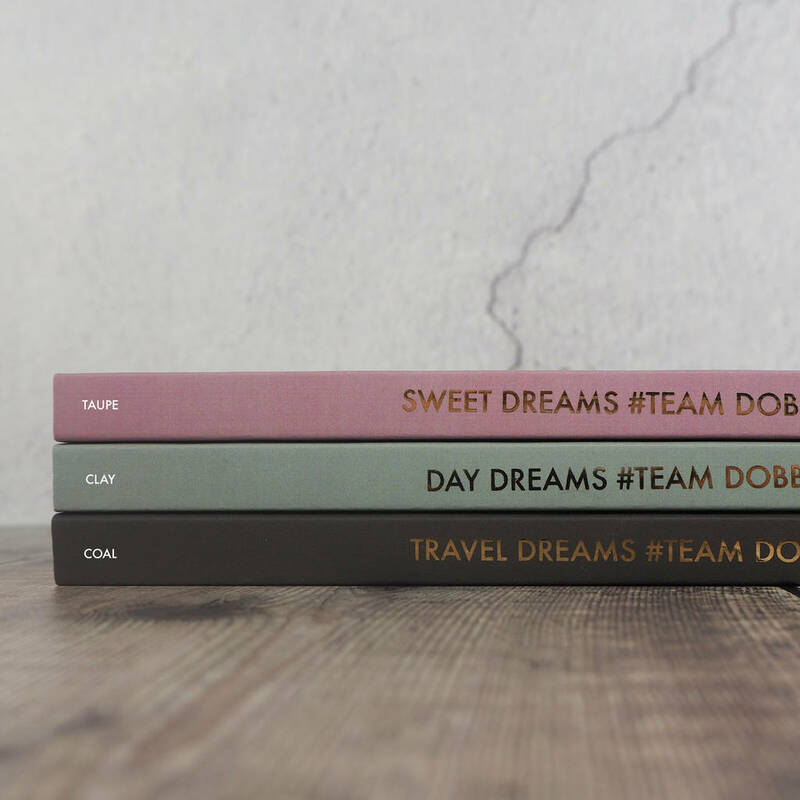 These stylish notebooks can be filled with hopes and dreams, travel plans, genius ideas, must-see places, memories and more… Personalised with your words, it makes a unique gift for any occasion. 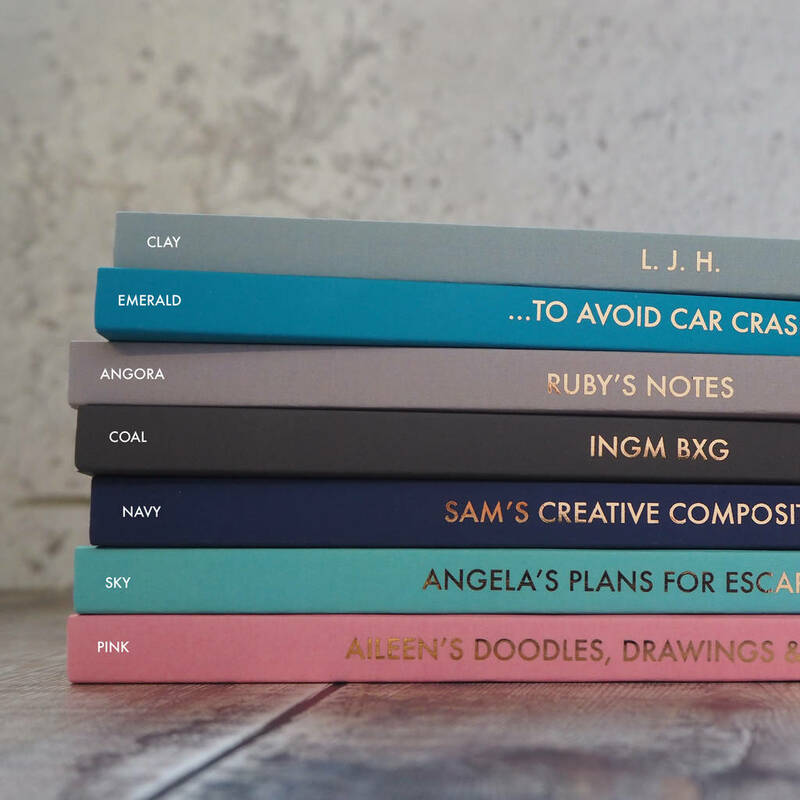 We do all the printing and binding here in the Studio - this is what allows us to add the unique touch of adding a message to the spine. 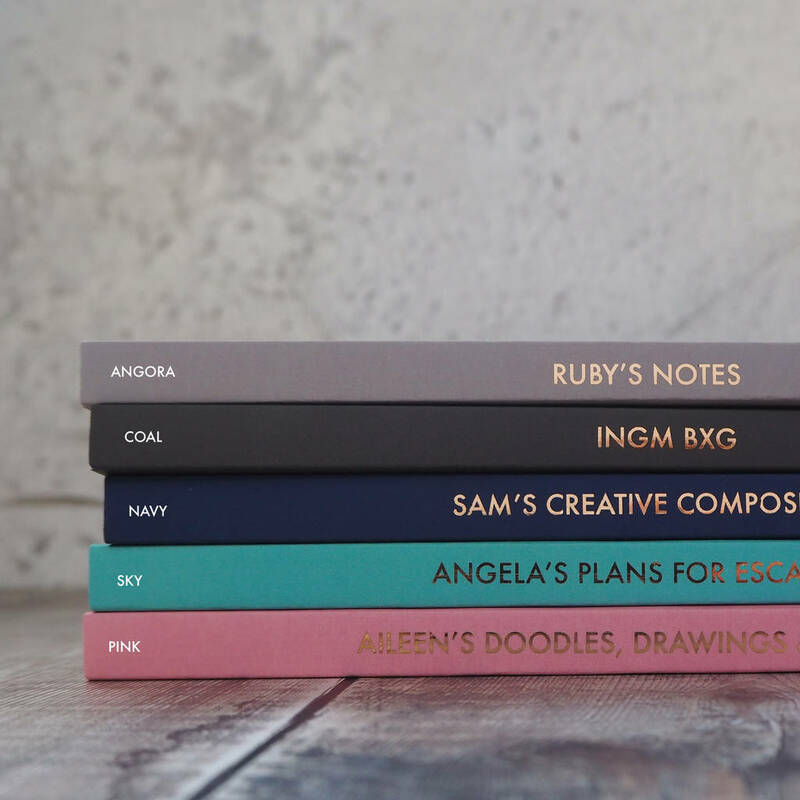 We love the idea of stacks of notebooks on bookshelves or a creative desk space in a mix of colours and important words along the spine. 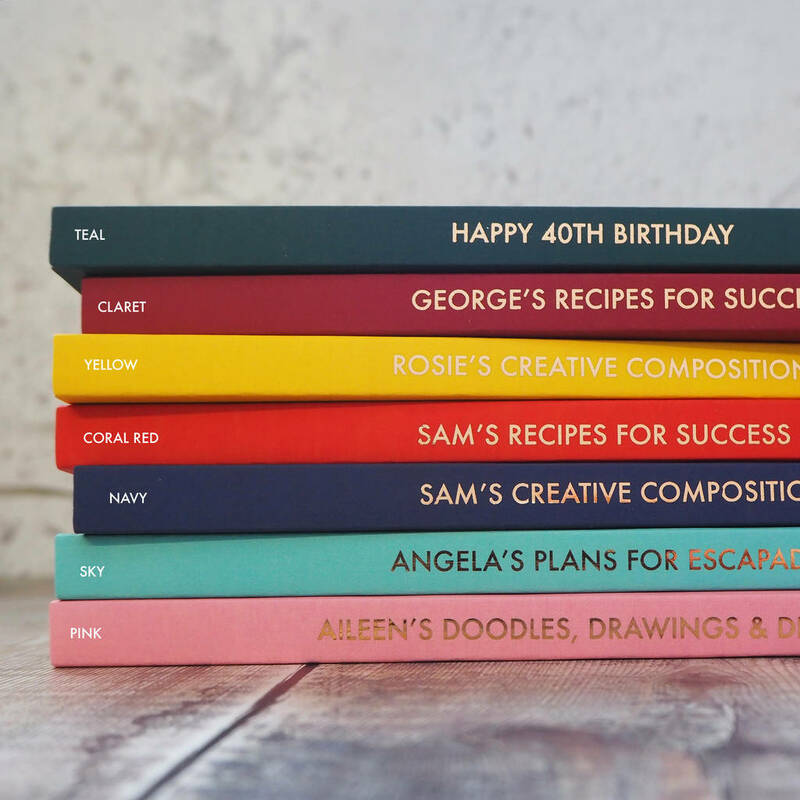 There are 20 colours to pick from. 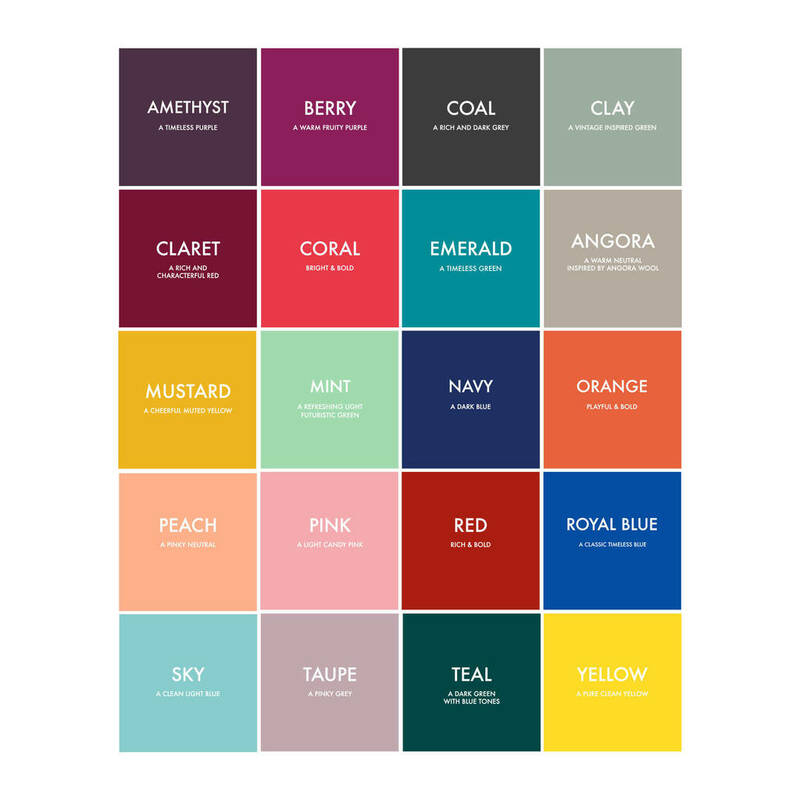 We are continually updating and tweaking our colours in line with colour trends so please refer to the colour chart for an accurate colour at the time of ordering. 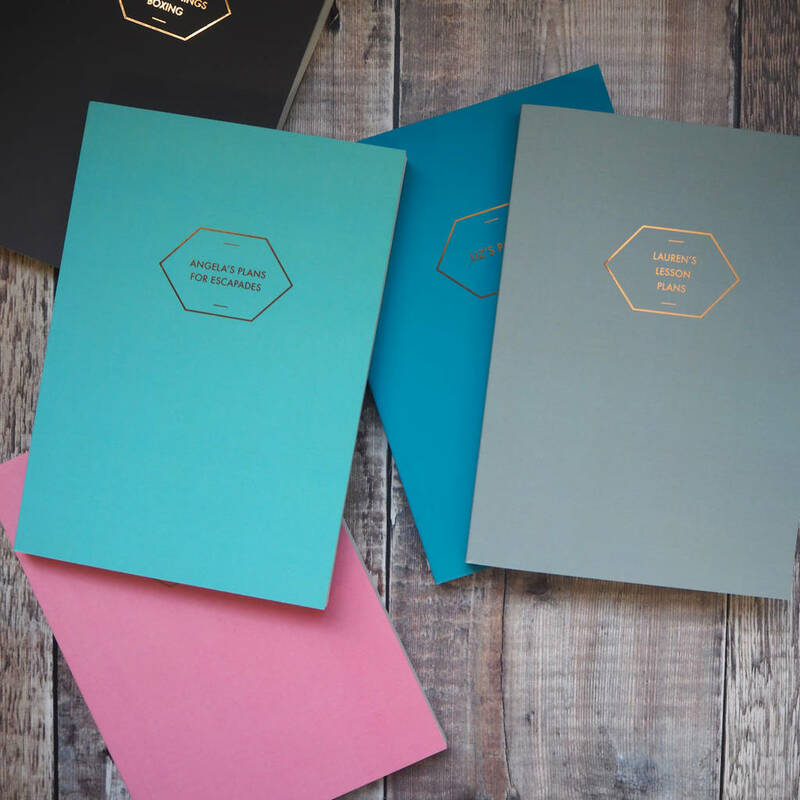 The cover is a 250gsm soft touch laminated covering paper.This listing is for one notebook but the books work great in sets.